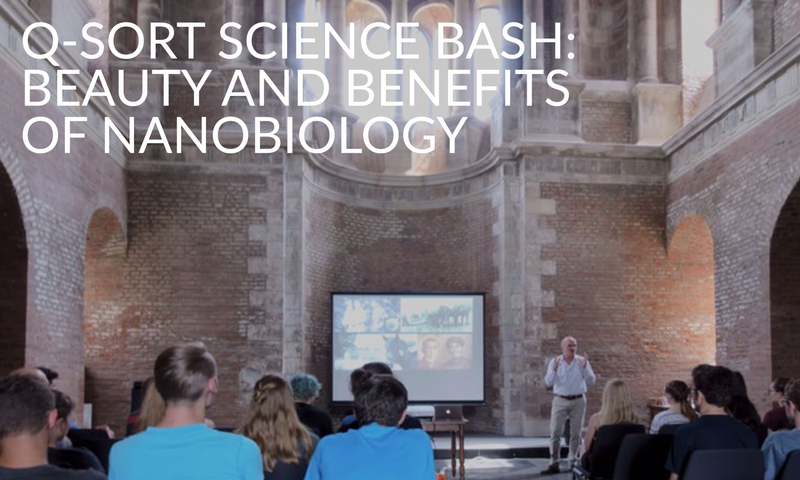 Peter Peters, a professor of Nanobiology at Maastricht University, gave an informative and highly entertaining presentation during a Science Bash entitled “Beauty and the Benefits of Nanobiology”. 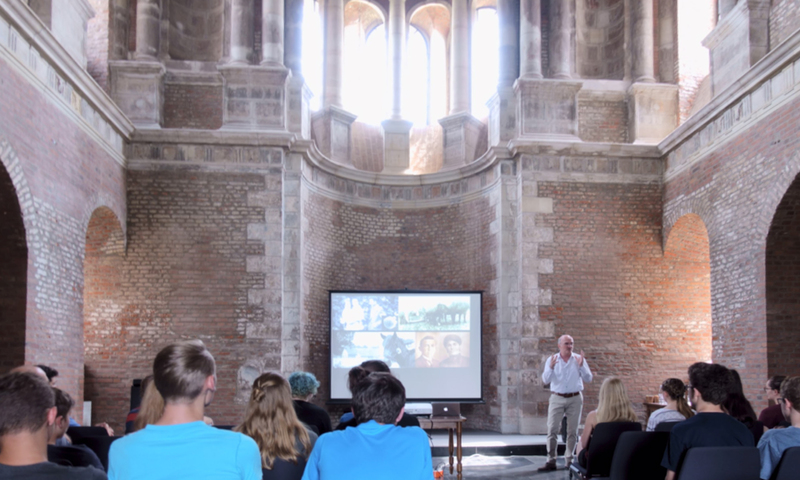 This event was held on May 29 2018 at the Schlosskapelle Gymnasium Zitadelle in Julich, and was attended by a group of high school students who had the chance to learn about the latest progress made in cryo electron microscopy from a leading expert in the field. For the students, it was also a great chance to talk with working professionals about their career options in biology, physics and other science-related fields. A description of the talk can be found below. Prof. Peter Peters was instrumental in improving cryo-immunogold electron microscopy (EM) and vitreous cryo-sectioning. His team discovered that mycobacteria causing tuberculosis move from the phagosome into the cytosol (one of the top 10 cited articles in tuberculosis in the last 10 years). He initiated the Netherlands Centre for Electron Nanoscopy (NeCEN). He co-directs the Maastricht Multimodal Molecular Imaging Institute, in which native unfixed cells are studied with 3D cryo-electron tomography in order to visualise molecular machines in the context of cellular organelles. His group aims to resolve the type VII secretion system of Mycobacterium tuberculosis within the phagolysosome. He initiated a new start-up CryoSol-World, which will produce a next generation vitrification device called a Vitrojet. 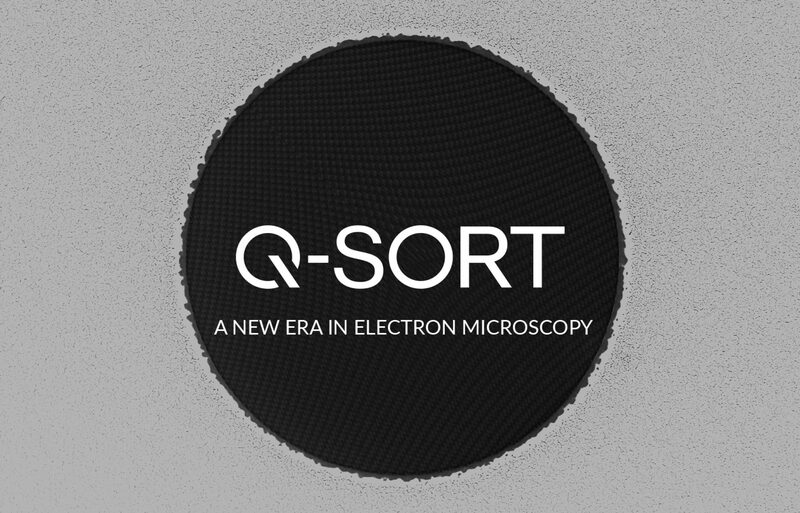 The Vitrobot, which was developed in Maastricht, has been distributed to more than 500 cryo-EM labs worldwide. His research has been reported in 120 articles with more than 25000 citations. In the area of the life sciences, electron microscopy (EM) enables an in-depth understanding of the basic concept of life. EM is indispensable to address biological structures both at cellular and molecular scales. It has revealed how each cell of the human body is divided into membrane compartments with specialized functions that together organize a diversity of processes, such as protein synthesis, energy production, and distribution of genetic material. Recent developments in EM at extremely low temperatures even allow scientists to zoom in to atomic resolution and see individual proteins or protein complexes within the native environment of the cell. This provides critical insights in the molecular processes of diseases (e.g. transformation of cancer cells, disease-causing mechanisms in the ageing brain) and human development (e.g. differentiation and renewal of stem cells). 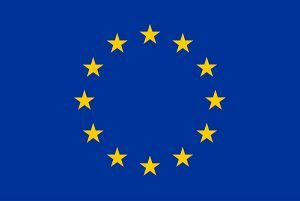 Indeed, molecular and cellular defects underlie most diseases, and EM uniquely provides the resolution to study localization and structure of molecules such as proteins, together with the crucial structural information. EM applications are found in fundamental biological research, including infectiology (e.g., EM studies to understand how HIV infects a living mammalian cell), neurobiology (identification of specific regions within the brain, followed by nanoscopic investigation with EM) and pathology (studying subtle pathologic phenotypes that are too small for light microscopy). Recent innovations in automated imaging in 2D (x,y axes; large-scale EM) and 3D (x,y,z axes; volume-EM) are creating unprecedented possibilities to reveal the architecture of cells within the context of their complex environment, such as tumors and even entire brains. On the molecular level, until recently, only X-ray crystallography and NMR spectroscopy were able to deliver the resolution necessary to describe the structure and understand the biological function of macromolecules at an atomic level. The limitation of crystallography, however, is that only systems that can be obtained at high yields and crystallized are accessible for this technique. The advent of a new generation of EMs, where samples are studied at cryogenic temperatures (cryo-EM), has revolutionized this field. Cryo-EM, selected the ‘method of the year 2015’ by Nature Methods, allows structural studies of biological systems without the need for crystallization. Not only has academic research been revolutionized by this, pharmaceutical and biotech industry have also embraced this emerging technology. For example, Genentech, Novartis, Pfizer and other companies have invested in their own top-end cryo-EM facilities. Cryo-EM opens a whole new avenue of biological research. Moreover, it covers a key resolution and spatial range window, that allows (bio)chemistry-driven research on molecular structure and biology-driven research on cellular structure to be bridged. For example, an atomic model of HIV-1 capsid-SP1 elucidated by cryo-EM reveals structures regulating assembly and maturation. These revolutions in the EM field have created worldwide excitement for EM, which is reflected in the numerous high-impact studies published in prestigious journals (e.g., over 200 papers in Nature, Cell and Science in the past 3 years). Next PostNext The future of science comes through Wikipedia.